Review – Babyzen Yoyo or GB Pockit? I am finally a proud and satisfied owner of a bright pink Babyzen Yoyo+ now that my daughter is 1 year old and able to sit still upright. We were initially contemplating to get either the Babyzen Yoyo+ or the GB Pockit. Both are featherlight, super-compact and aircraft cabin approved. Of course, the most striking factor differentiating both the Yoyo+ and the Pockit is its retail price. In Malaysia, the Pockit retails for below MYR1,000 whereas the Yoyo+ retails at over MYR2,000 – So should we be expecting more than MYR1,000 worth of additional features on the Yoyo+? After one week of using my Yoyo+ and comparing it with a Pockit I borrowed from a friend and a Yoyo (2011) my sister-in-law has (since they are still selling the Yoyo for MYR100 cheaper than the Yoyo+), I would definitely recommend a Babyzen Yoyo+. Weight: The Yoyo+ weighs a little bit heavier at 6.2kg compared with the Yoyo at only 5.8kg. I guess they have improved on the chasis strength which can now hold up to 18kg compared with only 15kg – this means that you can use the stroller for even longer now. But it’s not too much of a difference and the additional weight is barely noticeable. Storage spaces: The most noticeable feature between the Yoyo+ and the Yoyo is the storage spaces. Firstly, the undercarriage storage basket for the Yoyo+ is said to be 60% wider compared with the Yoyo’s. However, there are two horizontal support bars underneath that still limits the size of the item you can place underneath. Secondly, a new feature on the Yoyo+ is the zipper compartment behind the canopy. One of the pet peeve I had whilst trying out my sister-in-law’s Yoyo was the absence of a pocket on the canopy to store small items such as wet wipes. Fabric: One of the new features on the Yoyo+ is the smoother and softer fabric compared with the stiff fabric on the Yoyo. Honestly, the difference is hardly noticeable and plays no vital role in the overall use of the stroller. Padded shoulder strap: If you have used the Yoyo before, you will notice that the shoulder strap is simply constructed from plain nylon. After carrying it over your shoulders for some time, it could get a bit uncomfortable. But with the new padded straps on the Yoyo+, carrying the stroller is very comfortable now – this is one of the small improvements which makes the Yoyo+ superior to that of the Yoyo. Compatibility: With this new Yoyo+, the 6+ stroller is now compatible with infant carriers from Maxi-Cosi and Cybex (I think there are a few more compatible brands but these are the two popular ones in Malaysia). The carriers can be attached with special adapters (not sure how much they are selling those for in Malaysia) fitted on the side of the stroller (unfortunately you can’t fit those adapters on the Yoyo). This is perhaps the biggest advantage the Yoyo+ has over the Yoyo as there is now no need for the 0+ version! This is a tough comparison to do as the Pockit actually trumps the Yoyo+ in many areas. In terms of features, the Pockit is surprisingly well engineered (only weighs 4.3kg) and you will notice that a lot of thought were put into inventing this amazing stroller. I must admit that in the midst of trying out these two strollers, I can understand why many parents actually go for the Pockit rather than the Yoyo+. However, after thoroughly using both strollers, you can tell why one costs twice the price of the other. Compactness: The Yoyo+ can only be folded one way and it involves a two-step process – folding the handle bar and then unlatching the bottom to fold the chasis. However, the Pockit has a ‘one-touch’ process where you will only need to push the two buttons on the handle bars and slide the frame downwards. There is even an ‘ultra-compact’ mode where you can fold the wheels inward first and subsequently the entire frame. 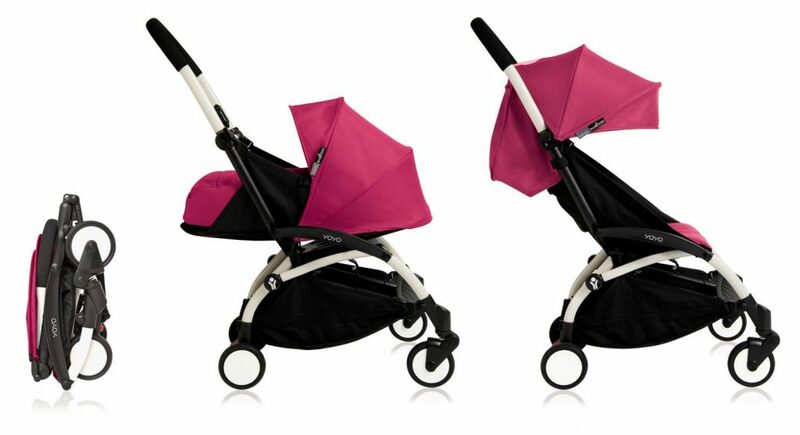 In ‘ultra-compact’ mode, the entire stroller can fit into a Louis Vuitton Large Neverfull! Sun Shade: In Malaysia, the sun rays can get really hot and glaring. This is where the Yoyo+’s canopy is good because its UPF 50+ solar protection shade covers half of the stroller’s front. But on the Pockit, the ‘canopy’ is simply a translucent square cloth on top of the child’s head. Perhaps only good for indoor use. By the way, the Yoyo+ also comes with a transparent rain cover. Reclining seat. The seat on the Yoyo+ reclines. The seat of the Pockit doesn’t. Fabric maintenance. Every so often, you would need to wash the seat covers on your stroller. The process of removing the seat and canopy on the Yoyo+ is a bit of a hassle and involves quite a fair bit of tugging and pulling (especially during re-assembly). However, the Pockit’s simple design makes removing and attaching the fabric so much easier. Ride and handling. Because of the lighter and more simplistic design, the Pockit lacks in ride comfort and maneuverability. With the Yoyo+, you will notice that the ride is extremely smooth (wish I could be the one riding in it). Even when you’re pushing it, you will realise that the chasis and absorbers are able to smoothen out rough and uneven surfaces. However, with the Pockit, the lack of suspensions makes the ride feel a bit rough and bumpy. Also, with the Pockit’s narrower width, you would need to pay a little bit more attention when turning into corners for the fear of toppling the stroller over. Overall, given a choice, I would love to have both the Yoyo+ and the Pockit. If I am traveling, which we do quite often to East Malaysia, the Yoyo+ is great for pushing through the airport and letting my baby girl sleep in it. But if its just for grocery shopping, then the Pockit is great as its super light and super easy to use indoors. Have you ever wanted your own e-commerce shop but a) Don’t know where to start, b) Too expensive to build, c) Too complicated? Well now you can. Say hello to EasyStore. EasyStore.co is an easy-to-use tool for sellers to create store and sell products online. It was just too good to be true so I signed up for a free trial of 14 days. Upon login, I was shown the ‘Setup guide’ page that guides me on getting started. This page is really helpful for beginners as well as experienced users. Fulfill the steps shown and you’ll definitely be on your way to setting up a store successfully. The ‘Dashboard’ shows your store’s overall analytics. I really like the simplicity of this page—it’s not cluttered with irrelevant information and all straight-forward. Another speakworthy feature of EasyStore is the large amount of gorgeous themes for you to choose! Browse through their collection and you’ll definitely find something you like. Oh and did I mention that the themes are also mobile friendly? There are a lot of other exciting features that you can read on here: https://www.easystore.co/features. The list is endless! Okay so how much does this cost? EasyStore provides two plans for customers to choose- Basic and Plus. Personally, if I have tons of things to sell, I would subscribe the plan yearly instead of by month. That way, I’ll be able to save 16%! RM390/year instead of RM39/month- that means I get two months free woohoo! I absolutely love to test and review nursing products as I think that they need to be of excellent quality because it’s crucial to assist mothers (especially new ones) in their nursing journeys. 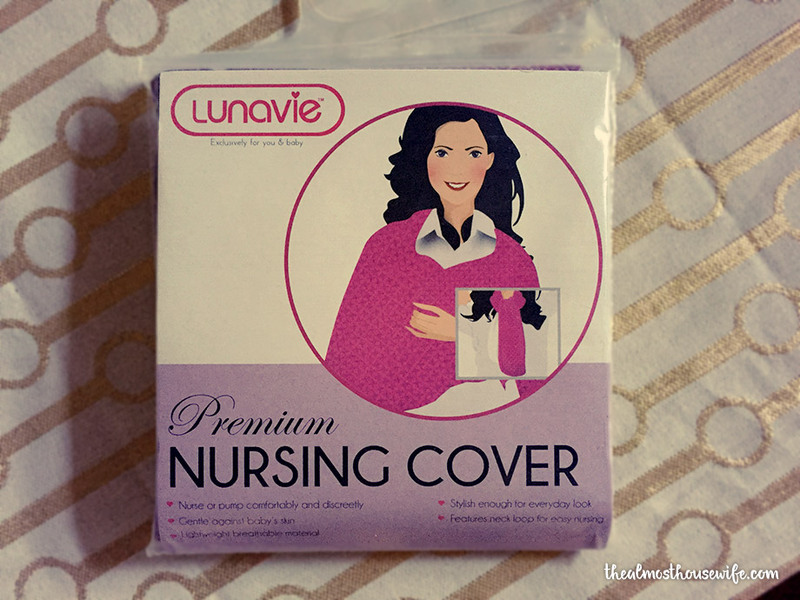 Lunavie is a new nursing and maternity brand that I’m fortunate to try out. 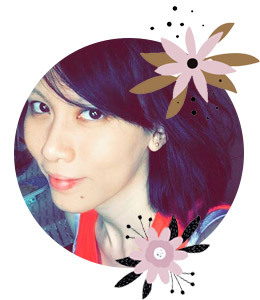 Lunavie was started with the aim to create a reliable source of mummy and baby-friendly products for our customers. We strive to make your parenthood easier and more affordable without compromising on the quality. Our mission is to provide exceptional products that support women during the journey of breastfeeding and nurturing babies. 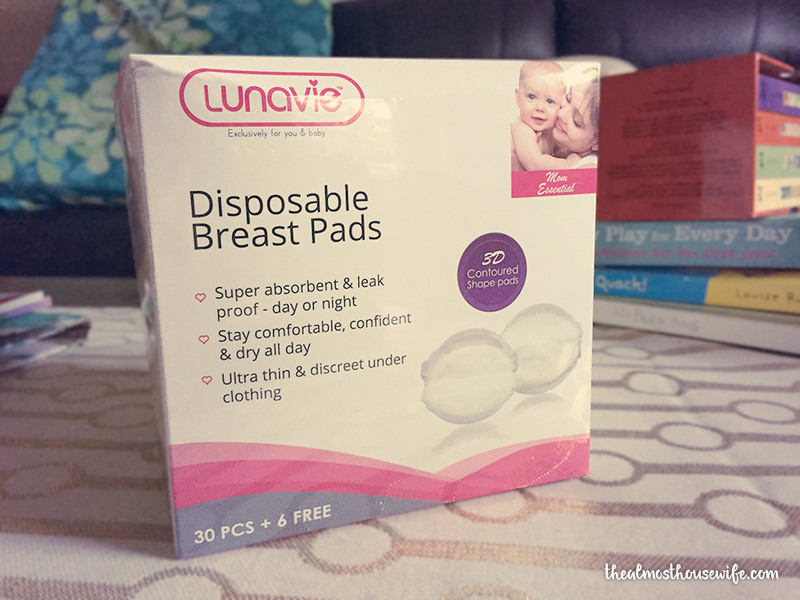 – Super absorbent & leak proof – day or night. Locks in moisture for optimum dryness and comfort. – Perfect fitting. Contoured 3D shape to provide perfect & discreet fitting. – Ultra thin & discreet under clothing. Help mums look and feel great between breastfeedings. 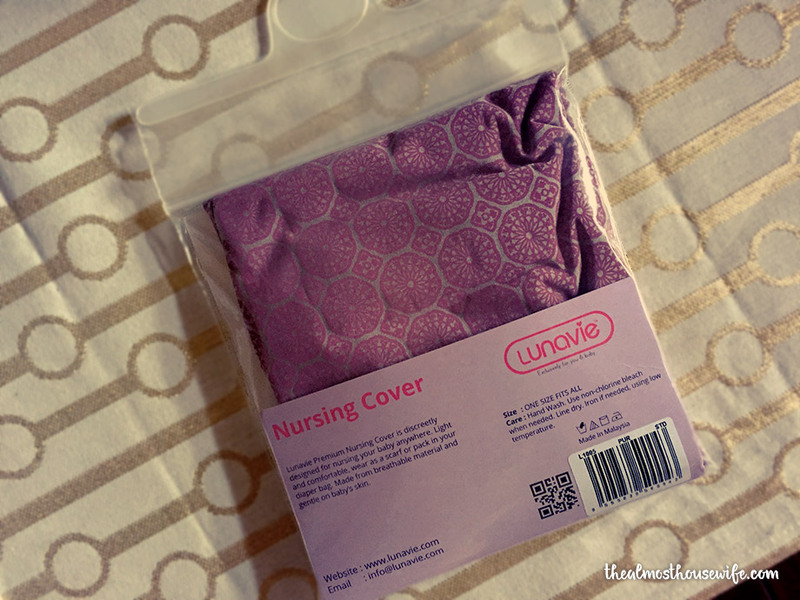 This nursing cover is very special, let me tell you why. Not only you can use it as a nursing/breastfeeding cover, you can also use it as a car seat cover, shopping cart cover and a scarf! It’s made of stretchy, soft and comfortable fabric and most importantly, it covers from front to back so you don’t ever have to worry about your little one pulling it off It’s also light and can be folded super duper small (takes very little space). Priced at RM45, it’s definitely value for money. Two thumbs up for this one!